Can Seventh Son Become a Suprise Hit? Set in the 18th Century, the story revolves around young Thomas (Ben Barnes of Prince Caspian fame), the seventh son of a seventh son which in this world grants Tom with the ability to see things that others can not: boggarts, ghosts and other fantasy beings. Tom finds himself apprenticed to the local Spook (Jeff Bridges) to learn to fight against the evil spirits. His first great challenge comes when the powerful Mother Malkin (Julianne Moore) escapes her confinement while the Spook is away. As you can see, in the trailer you get the carefully worded “inspired by the acclaimed series” rather than “based on…” which suggests Seventh Son is not going to be a straight adaptation. 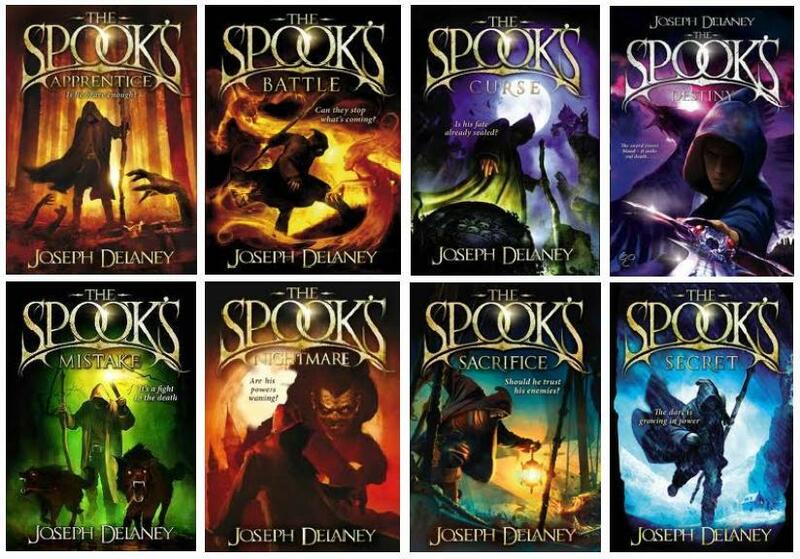 Although this decision has already angered some fans (but you always get the few who can’t stand to see any change to source material), I believe this is actually a smart choice: The Wardstone Chronicles does not carry the same fan base other book series’ do so this is an attempt to appeal to a wider audience. The story of a boy being trained in his craft has been done (Harry Potter, The Sorcerer’s Apprentice, Percy Jackson) and to attempt to place another origin story into a saturated market would make no sense at all, therefore, taking elements from other books in the series as well will help speed along the story. Hopefully it won’t be a case of too many ingredients just thrown in with no time given to story or character development. The other promising factor for Seventh Son is the acting talent attached to the project. Of course, Ben Barnes is relatively new but making steady progress in his career, however he is supported by Oscar winner Jeff Bridges, four time Oscar nominee Julianne Moore and two time Oscar nominee Djimon Hounsou just for good measure. The director is Sergei Bodrov who is a Russian filmmaker who has twice had his features nominated for Best Foreign Language Film (Prisoner of the Mountains, Mongol: The Rise to Power of Genghis Khan). At one time Jennifer Lawrence was also attached to star, meaning that the script must have some merit to it. Now this is not to say that I think Seventh Son is going to clean up at the Oscars, far from it, but I do believe that with this talent on board there is definitely potential and it has more chance of being a good film than a bad one. So it’s based on an acclaimed book series, has huge talent starring and directing, the trailer is action packed and exciting. So why would it be a surprise hit? Well first of all: it’s fantasy. And unless you happen to be bringing out a new Harry Potter film or The Hobbit then fantasy is a no go genre, that’s been proven time and time again. The trailer brings back memories to me of Black Death and Solomon Kane, two films I actually very much enjoyed but both fared poorly at the box office and with critics; when making fantasy you have to KNOW you have a hit, otherwise it’s all been a waste of time. Other problems involve the dreaded moving of the release date. While it doesn’t sound like much the moving of a release date can be a sure fire signifier of a flop. In this case Seventh Son has been pushed back all the way from February this year to January next in the USA, I’m still skeptic that we’ll even get it in October in the UK. This move has been due to post production needing finishing, the same reason that The Lone Ranger is currently flopping on it’s stomach in the States (one of MANY reasons if early reviews are to be believed). This is not always the case, The Great Gatsby became a hit despite the moving of that release date but that has Leonardo DiCaprio in the lead role, Seventh Son does not. Problems continue when you look further below the surface and see that the script has gone through a couple of rewrites. Again, never a good thing as when a script gets re-written you can see that the film has been dragged in several different directions by people who come on board with a separate view for the story and no respect for the work done by their predecessor (the most recent example of this being World War Z where the ending was rehashed). Even worse, Rhythm and Hues Studios who provide the visual effects for Seventh Son actually went bankrupt while working on the film; Legendary Pictures agreed to give $5million to the company to help them finish their work so this may or may not have hindered the project. As you can see, Seventh Son is not without it’s problems. But upon it’s release people won’t be looking behind the screen at the difficulties the film has had getting there; they will be looking at the quality that is being presented to them. Ever since I first heard about this film I have been silently excited; the story, the genre and the theme is right up my street and something of a geeky pleasure for myself. I have been excited by the trailer and think that there is clearly plenty of potential here. To release on a quieter week in summer may have been a risk but it is one that could have paid off. Now, however, I can only see this being a flop and it pains me so much to say that. Ender’s Game – A Dark Science Fiction Winner? If you can’t tell from that, which you really can’t, what the storyline is, it is thus: 70 years after a horrific alien war, an unusually gifted child is sent to an advanced military school in space to prepare for a future invasion. With this synopsis comes the promise of all out science fiction glory with special effects and battle scenes that will only be worth seeing on the big screen. Now, obviously a brilliant cast does not always make a great film (Ocean’s Twelve, Alexander) but it doesn’t help to bring together many critically acclaimed actors, actresses and crew members, so who’s working on this? Basically, not a bad cast on paper! But the film really hinges on the performance of Asa Butterfield in the lead role of Ender himself. He has previously appeared in Hugo and The Boy in the Striped Pyjamas and audiences do seem to have taken to him so far, now it is his time to carry a major franchise. Surrounding him with all of the talent mentioned above won’t damage his performance either and can only be a good thing. The special effects from the trailer look pretty good, however the second half of the trailer does seem to tail off and become a little dull compared to the jumpy, action packed introduction. Ender’s Game does seem very similar to The Hunger Games which, based on its premise, should have been a lot darker in tone than it was; Ender’s Game seemingly takes a pretty darker approach than you would expect and could win many fans for that alone. I am not entirely convinced by Ender’s Game just yet although I am interested in it. There just seems to be a certain spark missing. Hopefully, towards the release date promotion and marketing will be cranked up and the executives will be doing all they can to make Ender’s Game look as good as it can.